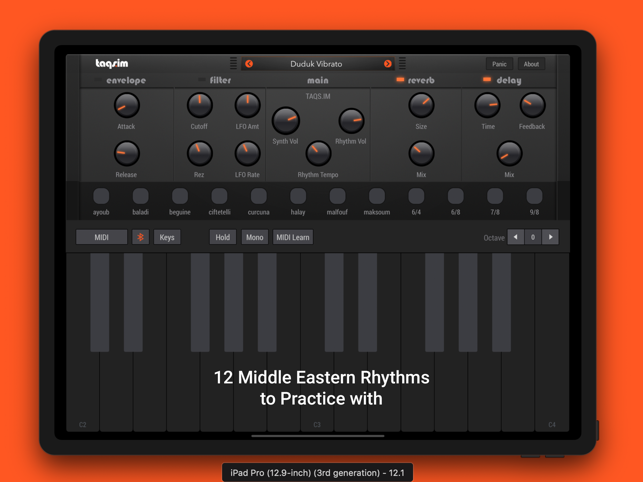 Now with IAA and AudioBus support! We also added some bug fixes and stability improvements. Good start, but for the price needs additional features and controls. We added IAA and AudioBus support. We’re also working on adding oriental scale style modification, along with other sounds as our top priority. Thank you again! 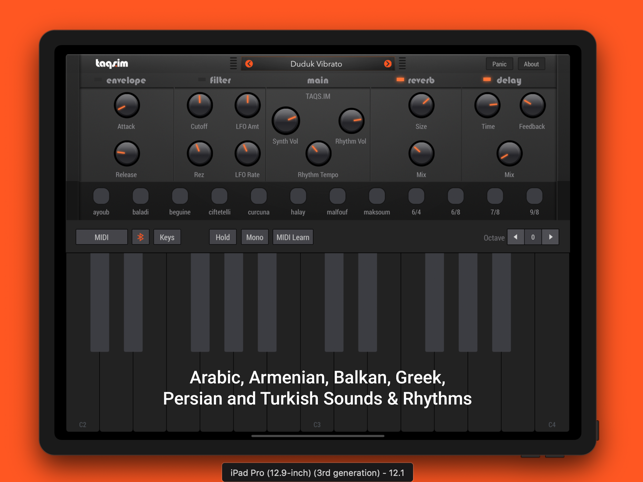 We added IAA and AudioBus support!